Thanks for the post. Nice to have a date. More time to decide on silver or black! Thanks for the post very reassuring! In pics the black look better, while in hand the silver outshines it. Mainly due to the "two tone" effect and 'coz the silver portion of it is so very well done. You were lucky enough to fondle both Silver and Black KEY2 devices? Looks like the Kennedy files or the Roswell records! Lol. It was a weather balloon. 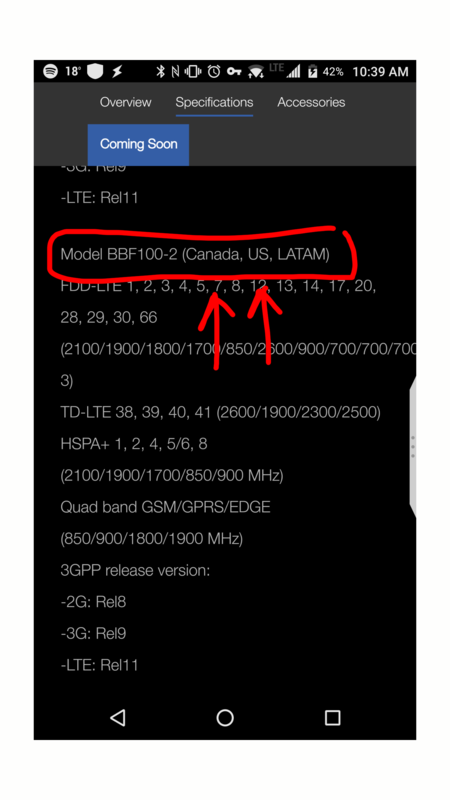 So how much do you guys think Rogers will charge us for the phone with on contract pricing? Going back & checking previous release prices, the Priv was 399$ at launch??? That was absurd. Currently, Rogers allows people to get an S8 on the premium tab (not plus) for 0$ & the value of the phone is higher than the Key2. Any word of the config of it? I'm seeing mostly 64GB units only on pre-sale. I'm still hopeful for a 128GB with dual sim (what a wish...). Any word for Bell? I'm not going back to Rogers right now. It’s actually the email from Prem to Chen with BB10 strategy at time of hiring. Canada always gets faster than the US. So lucky! Bump, tomorrow is the 21st. Do we have any further confirmation it's set for tomorrow? Is the Canadian version the same as the US version? Canadian get everything very fast. So jealous! With the new rules on unlocked phones in Canada, is there any advantage of buying it from Amazon vs from the carrier? Given that I am not leaving my carrier (Telus) anytime soon, and the fact that they don't really offer any discount on BYOD. One thing that comes to mind about price is that at Telus my device balance for the Key1 was $950, so they always inflate the value of the device. China already shipped them like last week. China is like a home country for all electronics lol. They got the KEYone way later though, heh. Looks like all us deplorables in the States are going to have to wait. croman and Kraeutermann like this. Canadian PM made a phone call to John Chen who called BBMo/TCL.... USA better learn the power that Canada has over USA.